Happy Blogmas Day 22! So, for todays post we are going to look at ow listening to music can improve performance. We’ve all been there. When you open your gym bag and start to frantically search for that small, yet vital piece of training equipment…your earphones. Without them your world can come crashing down. Music is something that we all love. The general idea of music for all of us is the same, comfort, focus, and motivation. Listening to music during exercise is no different. It is known to help improve our mood, block the feeling of fatigue to help us workout longer and harder, thus helping to improve our endurance and sometimes even our explosive strength. Listening to music can have a positive effect on your mood and motivation from the very start. Without it our entire mind-set around the workout can be altered. Listening to your favourite songs can help stimulate memories of the emotion tied to that song, from the happiness of when your first heard it, to the emotion in the voice of the artist who recorded it. The music can help you forget something that happened a hour ago and help your to push through your workout. Some people out there find music a distraction where they are not able to think. When we are talking about working out, listening to music can be a good distraction. It helps to distract the mind while increasing the heart rate. While the mind is distracted, we are less aware of the discomfort caused by our exertions. Studies have shown that listening to music can boost moderate exercise performance by 15%. Studies have shown that we naturally find a rhythm of 120-140 beats per minute (bpm) during endurance exercises like running or cycling. Music based around this speed can help us to maintain a moderate pace for longer periods of time. For more intense exercise, listening to speeds from 160-180bpm can help boost our exertion and help us to use our energy more effectively. A number of studies have argued that listening to music, doesn’t affect peak performance when compared to moderate exercise. This means that during sport or training, when an athlete reaches 90% max heart rate, the mind becomes focused on managing the body through the exertion. On the back of this listening to music can also boost explosiveness, if an athlete is listening to a favourite song. Although it can boost enjoyment through both periods, it doesn’t necessarily boost performance. Pick a song that you love and put it on a loop. I’ve found that listening to one of your favourite songs over and over can help to motivate and keep you focused. By doing this, there is less focus on what song is coming next, eliminating a lapse in concentration. Helping you feel more focused on the your workout. Use music to your advantage. 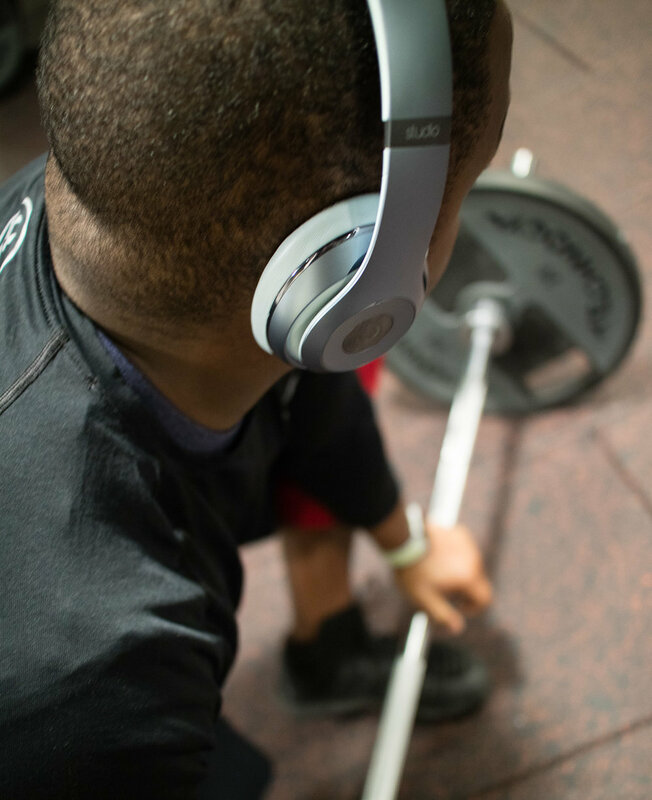 Listening to music can help your workout in many different ways. Develop playlists of your favourite songs for different activities. This will help keep you stay focused and motivated throughout your workout.